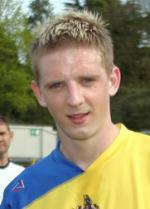 Signed for St Albans City in February 2008 from Northwood and made his 100th appearance for the club during a 0-0 draw with Basingstoke Town on 17 August 2010. Was with Chelsea as a youngster before having spells with Wembley and Wealdstone. A versatile 26-year-old who has started the new season in midfield but also had long spells at right back during his time at Clarence Park.